of the famous Russian piano school and comes from a family with a musical background, which spans over four generations. 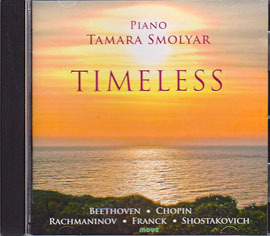 Born in Kiev, Ukraine (former USSR), Tamara began her formal piano lessons at the age of four. She studied with renowned pedagogues -Professors O.Orlova (a pupil of K.Mikhailov), I. Ryabov (pupil of J.Zaak), and E. Rzhanov (pupil of J.Fliere). Tamara graduated from the Kiev State College of Music and the Kiev State Conservatorium of Music with High Honours. 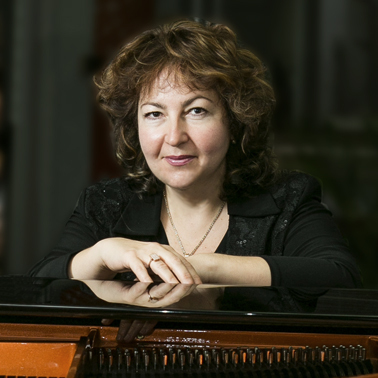 She participated in masterclasses with world famous pianists such as Malinin, Nasedkin, Berman, Nikolaeva, Kravchenko, Topilin, Sechkin, Neilson. concerto and chamber music recitals as well as on radio and television. She is a winner of First National Chamber Music Competition (Ukraine,former USSR) and also was awarded the title of Best Accompanist and Chamber Musician of Ukraine and USSR. In 1994, Tamara gained her Master in Music (Performance) from the University of Melbourne, under the guidance of A Semetsky (pupil of E. Gilels) and Professor R. Farren-Price (pupil of C.Arrau). Duo Chamber Melange in 2010. Tamara has been fostering and developing the talents of the musicians under her tutelage to a high level of music performance. She instils in her students a solid technique and opens their ears to the vast scope of the piano literature. Tamara’s aspiration is that students develop as musicians and also become innovative studio teachers and leaders in their profession.